Remagen Safe Room System standalone community tornado safe rooms are available in a number of off-the-shelf sizes and configurations. Standard safe room products may be rectangular or L-shaped, although custom size/shape safe rooms may also be ordered for particular architectural or functional needs of the customer. Standalone community tornado safe rooms for 16 to as many as 400 occupants have been produced by RemagenSafeRooms. 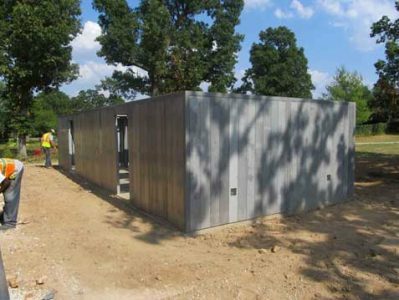 Remagen Safe Room System designs meet the requirements of ICC 500 – 2014, ICC/NSSA Standard for the Design and Construction of Storm Shelters and FEMA P361- 361, Design and Construction Guidance for Community Safe Rooms for 250 mph EF-5 tornadoes. All RemagenSafeRooms tornado shelter components have been tested for tornado debris impact resistance by a certified testing facility. 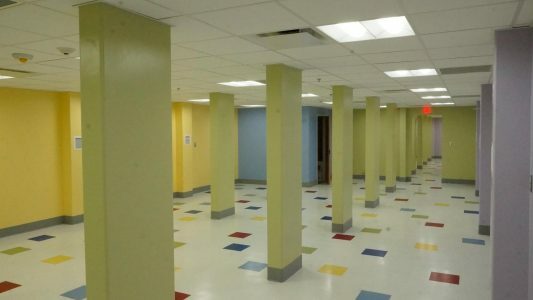 The interior of this daycare center community standalone tornado safe room was finished to be warm and inviting. ICC 500 defines community shelters as serving more than 16 occupants or occupants of other than of dwelling units. 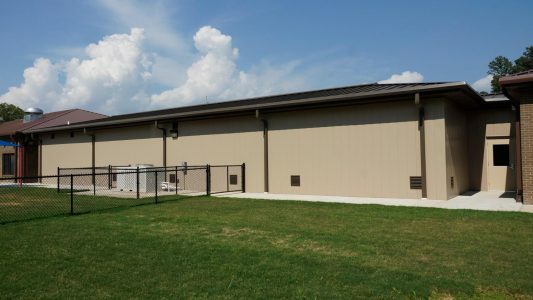 Standalone community tornado safe rooms have the advantages of lower construction costs, greater availability of sizes, accessibility from multiple facilities, absence of collapsing adjacent structures, and ease of weatherproofing safe room exteriors. Companies who provide protection for employees from severe weather by constructing tornado shelters demonstrate their concern for the safety and peace of mind of their employees. 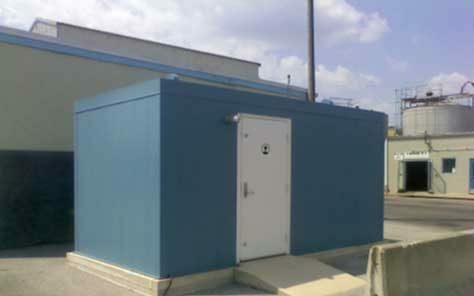 A stand alone 8′ x 13′ tornado shelter was purchased in 2009. While fulfilling all the safety & corporate requirements, the shelter was on budget, on schedule, good design coordination, & straight forward to assemble with good product support. A project manager could not ask for more. When another shelter is necessary, we will call Remagen. …the Safe Rooms that your company has built for us are great. The protection that these buildings serve for our employees can’t be put into words. Thank you.